"Ottagonale large" brass lamp is solid and firm and is suitable for every room. Bulb-socket type E27 (big bulb). 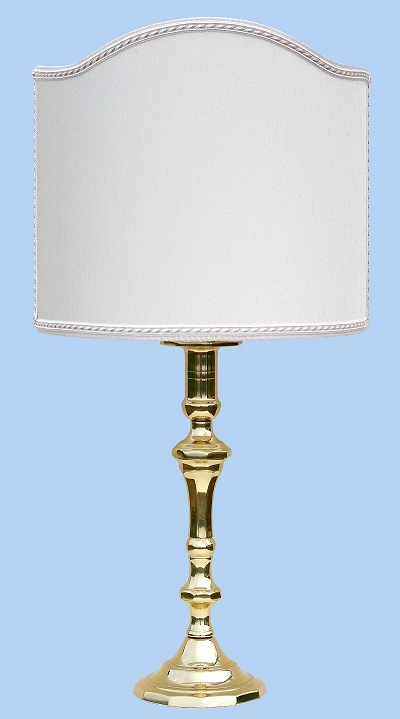 Dimensions of the lamp: height = cm 40 - diameter of the base = cm 14. 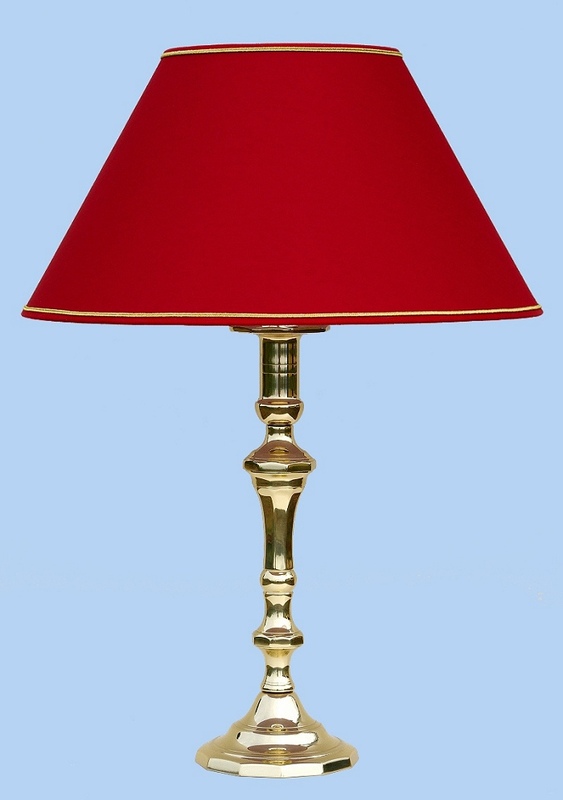 Dimensions of the lamp with the lampshade: height = cm 60 - diameter of the lampshade = cm 42. Price: Euro 138.00 (including lampshade). made of ivory Shantung fabric and white-ivory "Cordoncino"